Indonesia is raising foreign tourist visits. This study aims to find out how the perception of foreign tourists to tourism in Indonesia. this study took five foreign tourists who were interviewed. foreign tourists are tourists who have traveled more than one time to travel outside the country. It is concluded that Bali is still a reference tourism in Indonesia. Secondly, foreign tourists are attracted to nature tourism (mountains and beaches), cultural tourism (ritual etnic, and cultural behavior), and spiritual, religious and diversity tourism (religious activities, religious diversity and ethnicity). 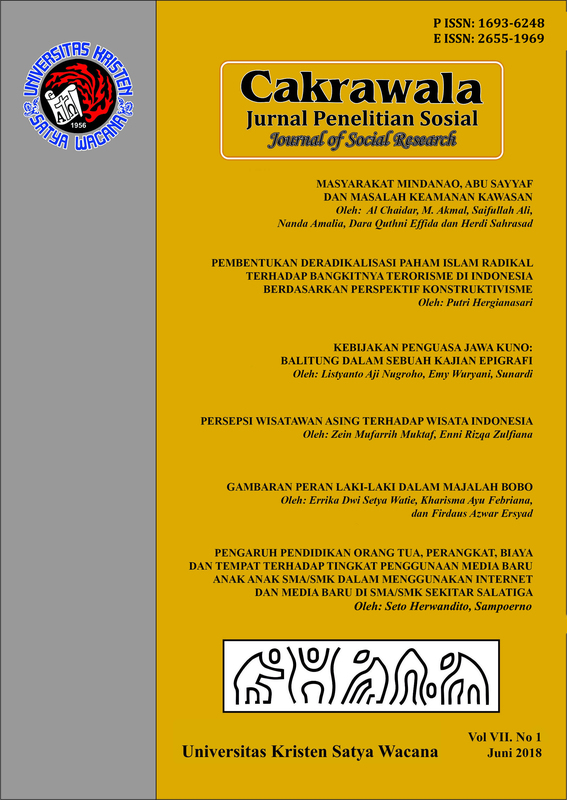 Herdiansyah, Haris, 2013, Wawancara, Observasi dan Focus Groups, Rajawali Press, Jakarta.